All of the ingredients in this tea recipe have medicinal properties. For example, green tea has lots of antioxidants (and a lot less caffeine than other types of tea). Oranges have multiple health benefits: their potent antibacterial properties help fight infection in the throat and get rid of chest congestion; their high levels of potassium can help provide relief from dizziness, nausea, and fever; and their vitamin C content boosts immunity by increasing the body's white blood cell count, antibodies, and interferon, which coats cell surfaces to ward off viruses and fight infection. Cinnamon has been shown to improve the body’s glucose metabolism and lipid levels. 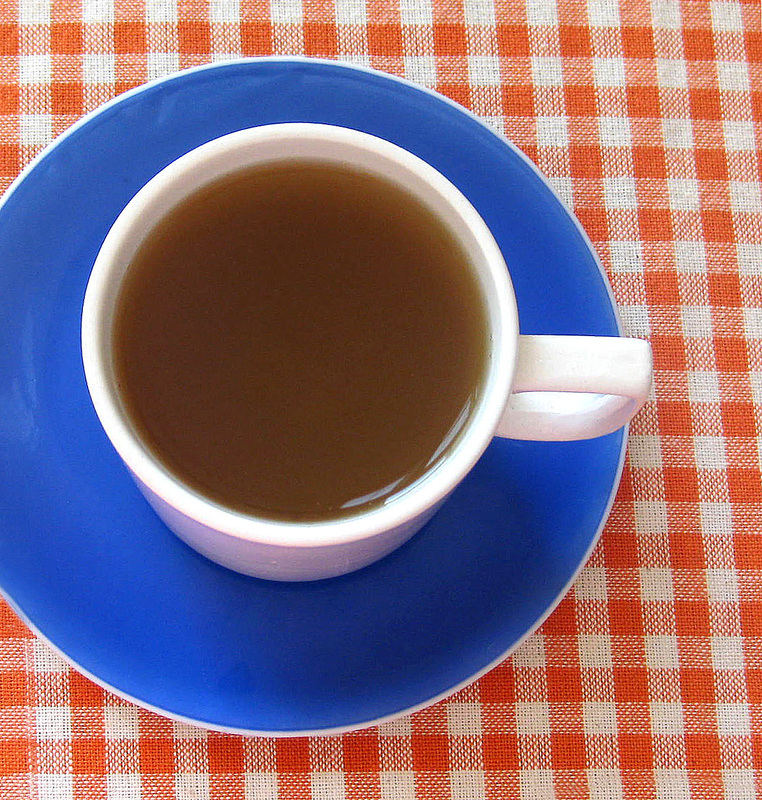 And finally, drinking lots of hot liquids will help soothe your throat and rid your body of impurities. Directions: Bring a large pot of water to a rolling boil, about 8 minutes. Add all spices, orange zest, and orange juice, and continue to boil for another 6-8 minutes. Remove from heat, strain to remove whole spices and then pour into a tea pot or other heat proof container. (If it's easier, use heat-proof tongs first to remove the cinnamon bark before straining.) Immediately add tea bags, allow to steep for 1-2 minutes, then gently strain and remove. Pour into tea cups and serve. Tea can be served either hot or cold (i.e., as an iced tea). Chef's Notes: If you’d like to make a big batch of this tea, simply quadruple the recipe, let it cool, then transfer to a tall pitcher with a lid, and store in the refrigerator. This way, you can just heat it up whenever you’re in the mood for a hot cup of tea. Or, if you'd prefer it cold, just add ice cubes to the pitcher and serve. Be sure to make the ice cubes from the tea mixture itself, you won't dilute the flavor of the tea. A pretty nifty trick, eh?! Some Important Do's and Don'ts: Use a fresh orange when making the orange zest. The commercially sold dried orange peel is bitter, and won't taste very good in tea. So, be sure to use the fresh stuff! Also, use whole green cardamom pods (i.e., cardamom in its natural, unprocessed form) and NOT the bleached ones that are sold in generic grocery stores. In the latter case, not only has their color been bleached out, but so has their flavor and nutrients! Natural green cardamom pods smell wonderfully vibrant and heady. And, when you boil the pods, along with the other whole spices, they will make your whole kitchen smell absolutely divine! Green cardamom pods can be ordered online or found in a local ethnic (i.e., Indian, Asian, etc.) market.